Cancellation of a proposed $15 million coal transfer facility in the mouth of the Fraser River was met with cautious optimism by Gabriola residents. But the shutdown doesn’t remove the threat of 5 proposed freighter anchorages off Gabriola’s NE coast. On January 30th, Vancouver Fraser Port Authority withdrew a permit for Fraser Surrey Docks to expandVancouver’s capacity to load U.S. thermal coal onto freighters bound for Asian markets. The project was cancelled after Fraser Surrey Docks failed to show substantial progress on a number of the 83 conditionslisted in the project’s timeline. Environmental groups are celebrating the decision, calling cancellation of the coal facility a victory in the battle to stop “dirty” U.S. thermal coal flowing through Canada. Many point to Federal Environment Minister Catherine McKenna’s call for countries around the world to stop burning thermal coal, while Canada continues to allow shipments of U.S. thermal coal through the Port of Vancouver. The Surrey Docks project had raised additional concerns here on Gabriola as many saw the project as part of the business case for establishing 5 deep sea anchorages off the Northeast Coast of the island. 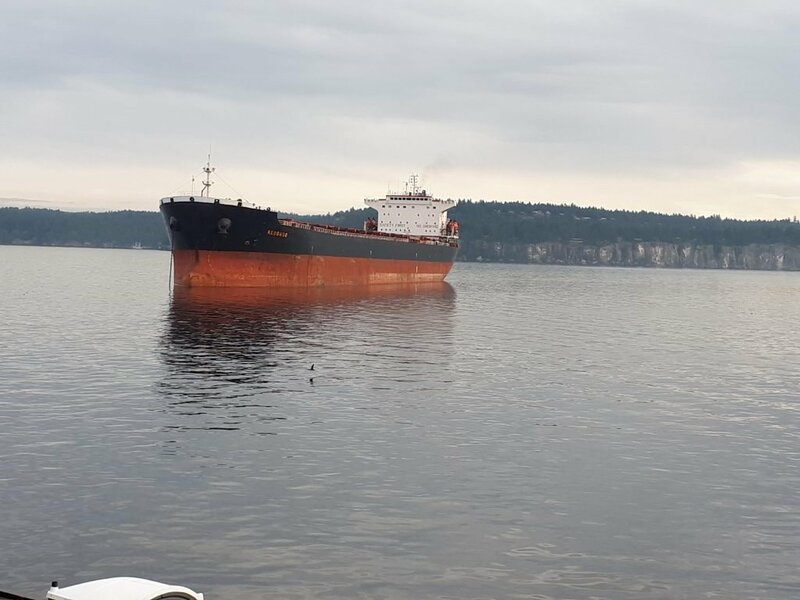 However, according to Gabriolans Against Freighter Anchorages Society, the cancellation has little bearing on the Gabriola anchorage proposal. “The justification for anchorages seems to shift aroundbut, from everything we’ve been told, the Gabriola Anchorages proposal is based on overall freighter traffic including grain, coal, and other commodities. Certainly not on this one proposed facility”, said Chris Straw, president of GAFA. 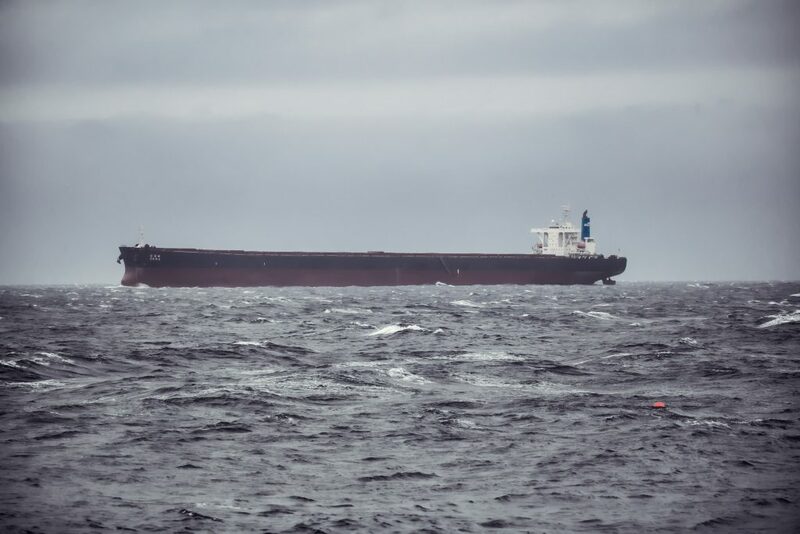 According to GAFA research which is now being reviewed by Transport Canada, the allowance of early ship arrivals and poor management of ship and terminal scheduling is the root of the anchorage problem. It is not uncommon to see ships sitting at anchorages throughout the southern gulf Island for 30 and 40 days. To date no one from Transport Canada or the Port of Vancouver has provided a credible explanation as to why this is allowed. In terms of the Fraser Surrey Docks proposal, the company has not ruled out relaunching their coal transfer project in the future.